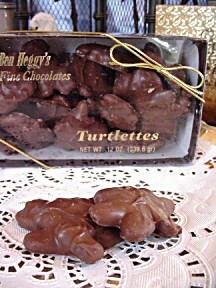 Pecans topped with creamy smooth vanilla carmel and then coated with milk chocolate. Each 12oz. order is gift boxed for that special someone!